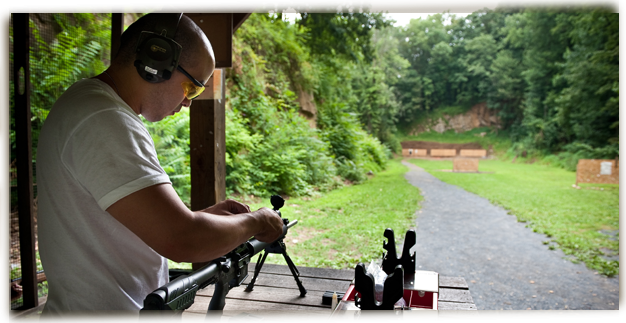 Our 25 yard centerfire pistol range is suitable for all pistol calibers and rifles chambered in pistol calibers. 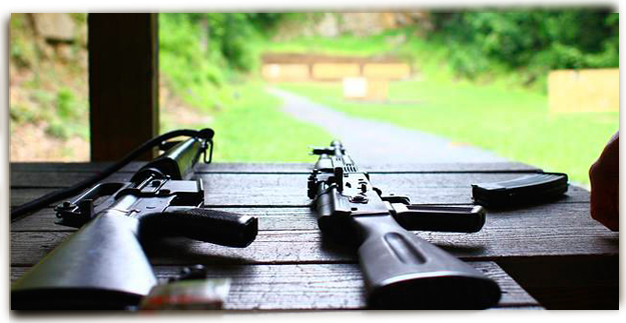 Center-fire/high power rifles (5.56, 7.62x39, .308 etc.) 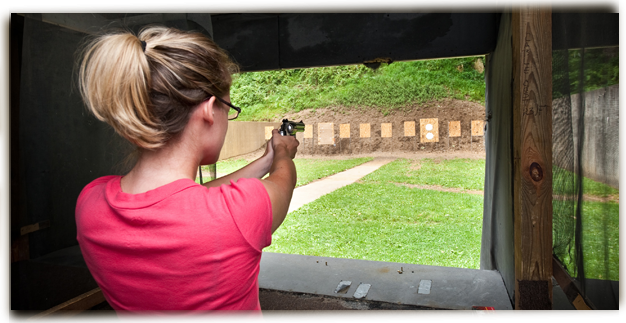 and shotguns are not permitted on this range. 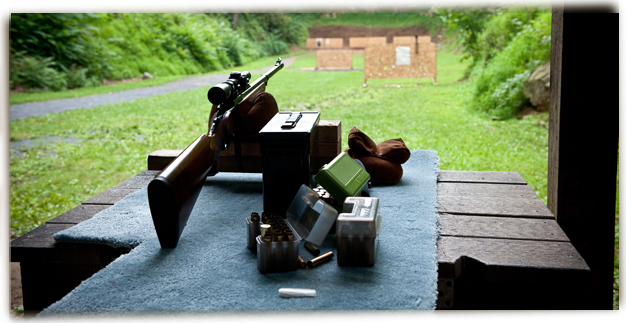 You may also shoot .22 rifle and pistol here. 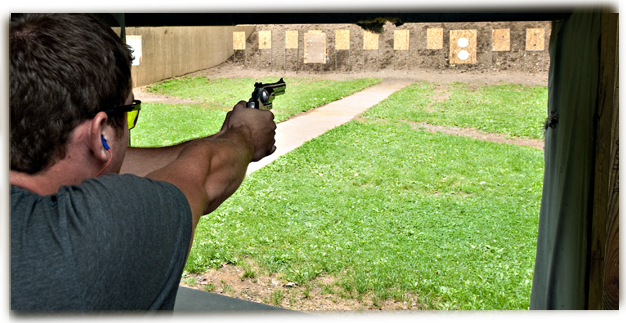 We have noise abatement pads on the interior walls of the pistol range. You may ONLY from fire from inside the covered firing line. 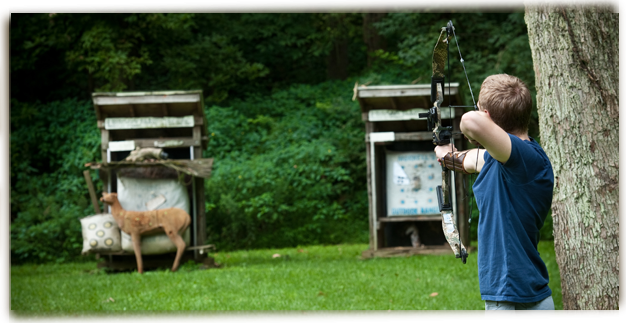 We have target wires at 7 and 15 yards and steel uprights at 25 yards. 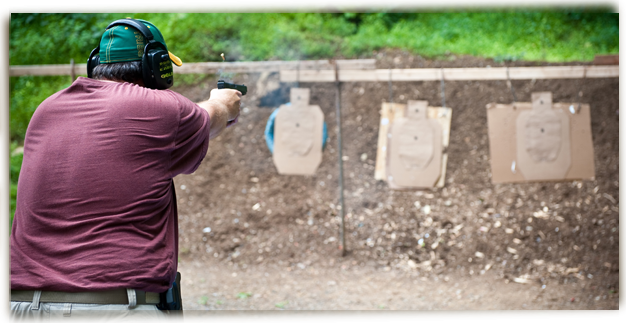 You may post your own paper targets on hanging target boards or shoot the club supplied steel gongs at 25 yards.